Hundreds of volunteers in Jacksonville gave their time, talents and sweat Monday to honor the legacy of the Rev. Dr. Martin Luther King Jr. during the national day of service. King, who is celebrated annually with a national holiday, once said, "Life's most persistent and urgent question is: What are you doing for others?" 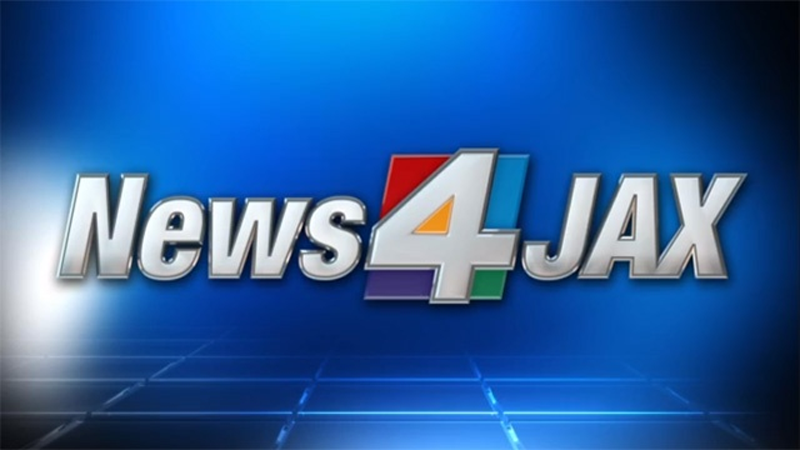 To answer that question, the United Way, WJXT-TV, Wells Fargo and Hands On Jacksonville partnered for 30 community service projects around the city to celebrate Martin Luther King Jr. Day. The event kicked off with a pep rally at Edward Waters College that featured entertainment by the Jaguars D-Line. Morning Show anchor Melanie Lawson was the emcee for the kick-off rally, which pumped up volunteers from around the city before they were sent off to their projects. Those projects include painting and organizing R.V. Daniels Elementary School, transforming lockers to look like books at Southside Middle School, painting the Frances Padgett Arlington Senior Center and landscaping Klutho Park, in Hogans Creek. More than 300 volunteers joined City Year and AmeriCorps to give Highlands Middle School on the Northside a face-lift. "It speaks to Dr. King's vision of volunteerism, sacrifice and really focusing on the opportunity of youth in the future," Duval County Public Schools Superintendent Dr. Nikolai Vitti said. The volunteers sanded, painted and replaced graffiti with inspirational art. "The No. 1 rule of sanding is go with the grain," City Year volunteer Brad Christman said. "People from all different backgrounds are coming together for a day of service." Across the Trout River, several more volunteers cleaned up Lonnie C. Miller Park. "It's just a good experience for me to do for the community," Wells Fargo volunteer Nina Ramos said. "It's actually fun." Images: Day of Service honors Dr. Martin Luther King Jr.
Jennifer Waugh painting lockers at Southside Middle School. The News4Jax team joins dozens of volunteers at the school to freshen up the lockers with bright colors. Bruce Hamilton ready to roll. Melanie Larson joins the paint brigade. Melanie Lawson speaks before Day of Service pep rally at Edward Waters College. Volunteers help making stuffed animal at EWC. Groundwodk Jacksonville is coordinating a clean up and landscaping work at Hogans Creek. The volunteers cleaned up the playground equipment and planted fresh flowers so families can enjoy the park for years to come. They also added some playful sidewalk art. News4Jax anchors Tom Wills and Mary Baer did similar work at Victory Park in Arlington on Monday. They helped build a Born Learning Trail, promoting early literacy and encouraging physical activity. Just minutes away, volunteers, including News4Jax weekend anchors Ashley Mitchem and Ethan Calloway, rolled up their sleeves and got their hands dirty giving Frances Padgett Senior Center a fresh new look. "The paint that was on the wall was chipped," Mitchem said. "It was dirty looking. It was Pepto-Bismol pink." Now, it's more modern and inviting. "This is a great way to celebrate MLK Jr. and the service he showed everyone, and now we're giving back," Mitchem said. The Clara White Mission also used the service day to gain experience for members of its janitorial program, who helped revamp the senior center. They also plan to continue repair work on the building throughout the next few months. And it wouldn't surprise anyone that The Weather Authority's Rebecca Barry and John Gaughan were in the elements, cleaning up the Hogan's Creek area and planting new flowers. "It's cold and getting cold tonight," Gaughan said. But that didn't keep hundreds of volunteers from honoring Martin Luther King Jr. by coming together and giving back. “People in this community give back, and it showed today in honor of Dr. King,” United Way volunteer Coretta Hill said. Another project where those volunteers came out in force was at RV Daniels Elementary School, where they cleaned out the flower beds and gave them a fresh coat of paint in the school's colors. Members of The Morning Show anchor team also rolled up their sleeves Monday with a crew of Wells Fargo volunteers, giving a fresh coat of paint to more than 400 lockers in the main hallway of Southside Middle School. The school will add book titles later this week so the lockers look like books. It's a project that's very close to Justin Contreras' heart, because reading helped him so much as a kid. “If I can spark one kid's curiosity to pick up a book they see on one of these lockers, I think that would be amazing,” the Wells Fargo team leader said.